A group meets from April to October in downtown Albuquerque every Saturday at 11pm to share the love of Jesus on the streets. 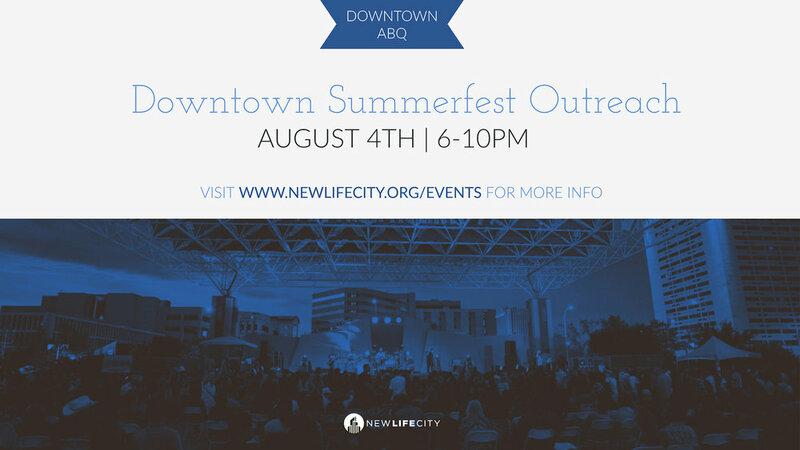 This week, the City Streets Outreach will meet at the Downtown Summerfest at Civic Plaza. Tonight's outreach will be the culmination of the Power & Love Evangelism Boot Camp training at New Life City. Contact John and JoDee Scholz for more information.